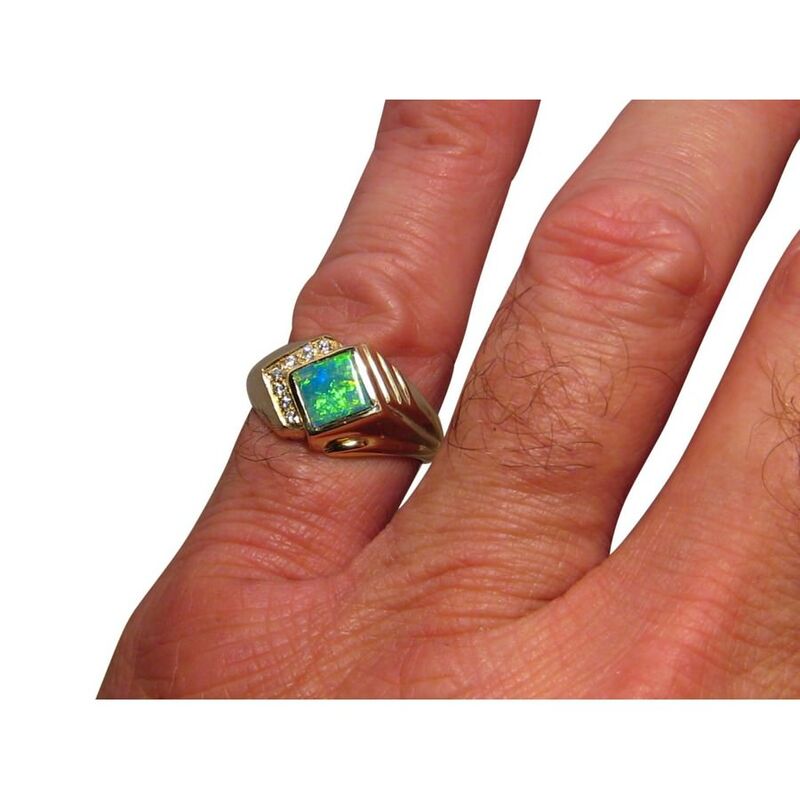 A classy Opal ring for men with one square cut Opal accented with bright white Diamonds in 14k Gold. In stock and ready to ship. 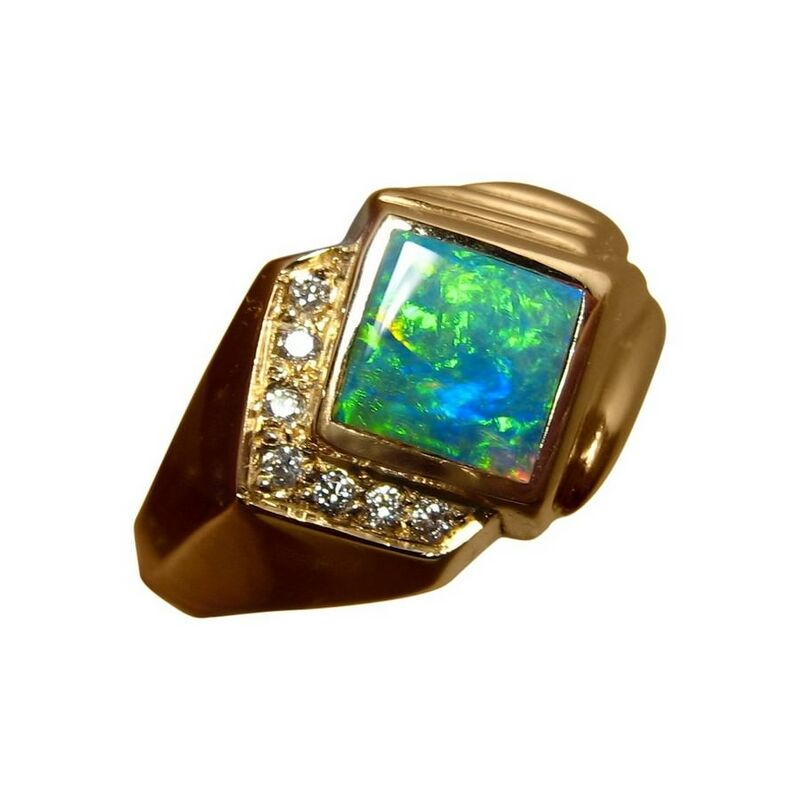 An Opal ring for men that is masculine yet stylish with the square cut Lightning Ridge Opal accented with seven diamonds set in 14k Gold. 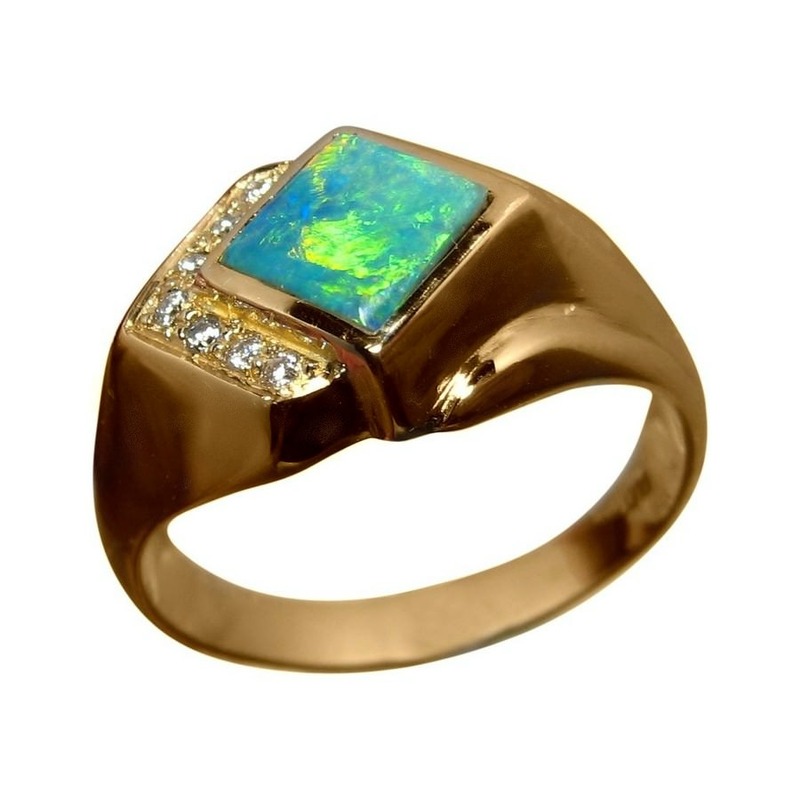 The Opal is offset to form a Diamond shape with the Diamonds on two sides of the square Opal adding a touch of sophistication. 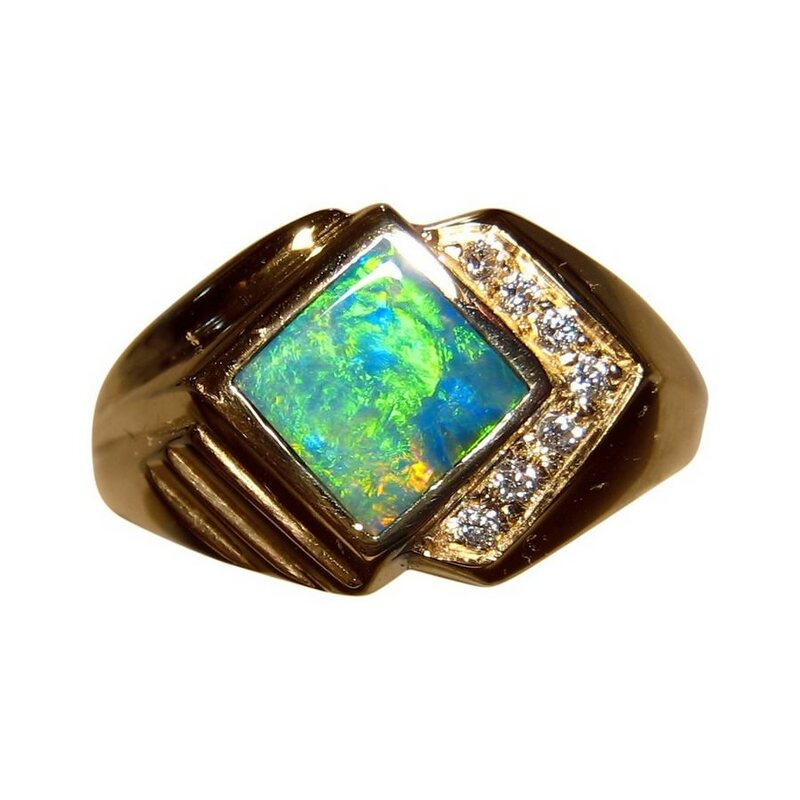 The ring is shown in 14k Yellow Gold however as the Opal is not yet inlaid, the ring can be made in any ring size up to an 11 or change of Gold color which will take about one week. If you need a larger ring size, please contact through this product for a no obligation quote.